The interval, in minutes - at which the tool will back up the current Adventure. 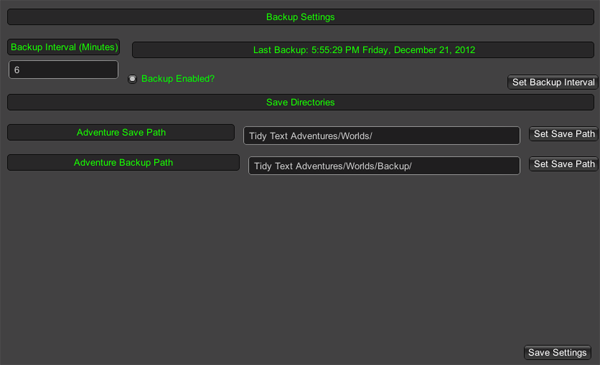 Is the scheduled backup function enabled? The path to which Adventures are saved and loaded. The path to which Adventures are backed-up.